Your pups are probably your favorite Instagram subject because of their utter cuteness, and clothing brand, American Eagle Outfitters takes it to a higher level. 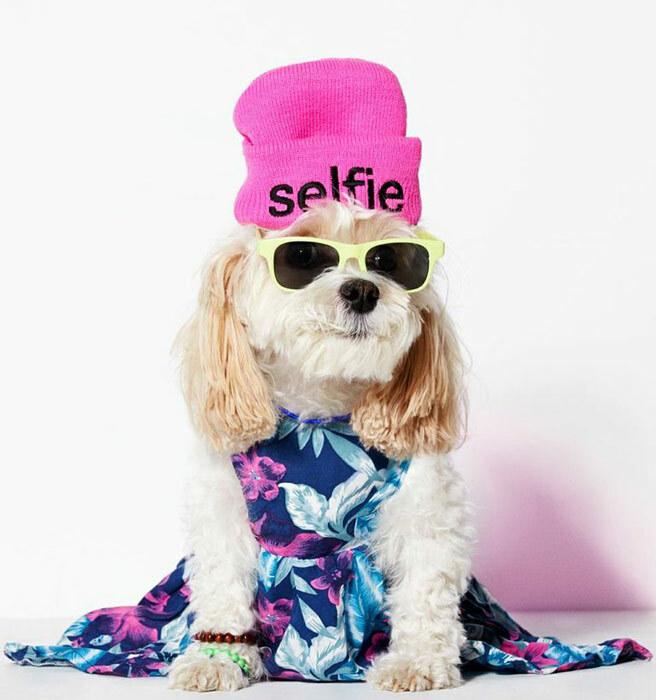 You can now dress up your pups in stylish clothing from their new line, wait for it—American Beagle Outfitters. The collection has tiny beanies, sunnies, hoodies, overalls, and bikinis. Their video, aptly called a dogumentary, shows how the idea of dressing up dogs with sartorial choices (other than Halloween costumes) has reached the drawing board to the campaign photo shoot.